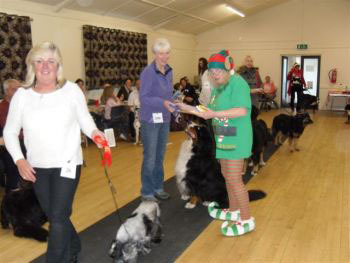 This year's Christmas Fun Day at Overseal was as popular as ever, with 87 entries across the whole range of classes, and some 38 dogs of all sizes and breeds, giving this year's judge, Emily Green quite a bit of work to do. 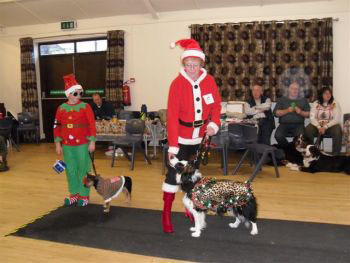 Best Adult - Jenny Cawood's Border Collie, MAGIC (loved the waving santa hat ... )! Our thanks go to Emily Green for judging this year's event and to all those who helped to make this one of the year's most enjoyable events.